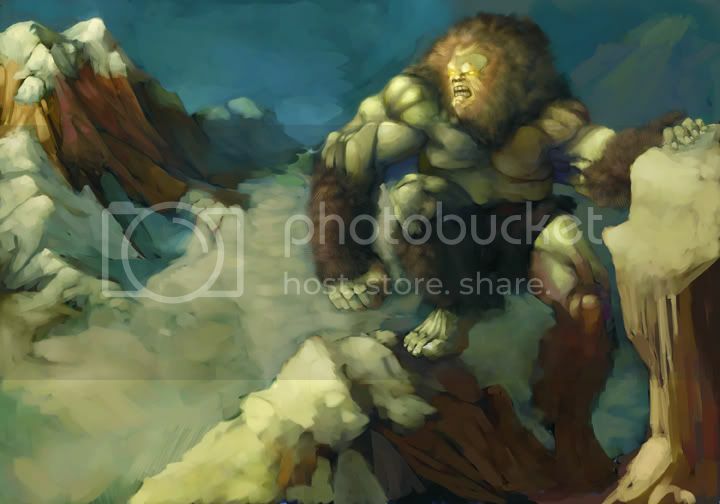 Is there any way to use a blender or smudge tool in Painter to create a wispy/hairy feel without the white being added in like in my attachment? I really like what the Water Rake does, but as you can see, the white doesn't allow for much room to edit. So is there any way to drag out the paint without more paint being added in? I don't want to use the Artist's Oils to blend since they can't rake. EDIT: And the brown area is on a separate layer from the grey layer. I believe that there is no real way of getting around this as a smudge tool or blend tool will either smudge/blend to the selected background colour or by selecting the Pick Up Underlying Colour box to the layers below. It is the nature of smudge/blenders. You can tone it down a bit by going to Window/Brush Control/Well and setting Bleed to 0%. This will work for short strokes, but if you over blend the background colour will still come through. I personally use other brushes (like a modified Detail Oils Brush) at lower opacity to get a similar effect (no dragging colour involved). Last edited by fes; December 9th, 2008 at 07:11 PM. er ... Meg knows about the 'pick up underlying colour' box..... the point is that Meg doesn't want to blend to any colour - white or layer beneath... due to the fact that the layer beneath colour may change. For that to happen Painter would have to interpret white color as being transparent like what Paint Tool SAI does. Ah, I was hoping for a tool setting to feather out on it's own. fes, thanks for pointing out to turn the bleed all the way to zero so that there's no white. Maybe I can work with it? The only problem is that it only drags one color and won't get new colors in the bristles unless I reclick and make another stroke from the source. Photoshop doesn't have a blending engine to begin with. Isn't the point of blending is to blend colors together? When you create layers - the best analogy I can come up with is it's like working off acetate on animation cels, you can't blend a cel color below another. It's giving leeway by pretending that the clear cels can interact with each other provided there is color underneath the two colors you want to interact with. "Blending"/ smudging with Photoshop actually works best with one layer. Though it doesn't exactly blend as Portus said above. Oh Exalted n00b of n00bs! No, I just want it to feather to transparency and have whatever is in the background be completely independent. Smudge pushes paint around in photoshop it doesn't blend colors together. When you say blend, it means you're actually having another color interact with another. Pushing paint around isn't blending it's smearing hence "Smudge Tool"
setting the "brown layer" to multiply would make the white go away and probably have the desired effect you're looking for- but will make your brown darker and you'll have to tone back the layer's opacity, and possibly make for some color adjustments (not painter's strong point). There'll be a lot of guess-work and it might be more frustration that success. Painter doesn't work as well with layers as PS. I've learned to paint on two layers- "background" (which is all of the layers I've previously dropped) and a new layer I'm painting on. Any more than that and I find that I have huge issues when dropping layers later.